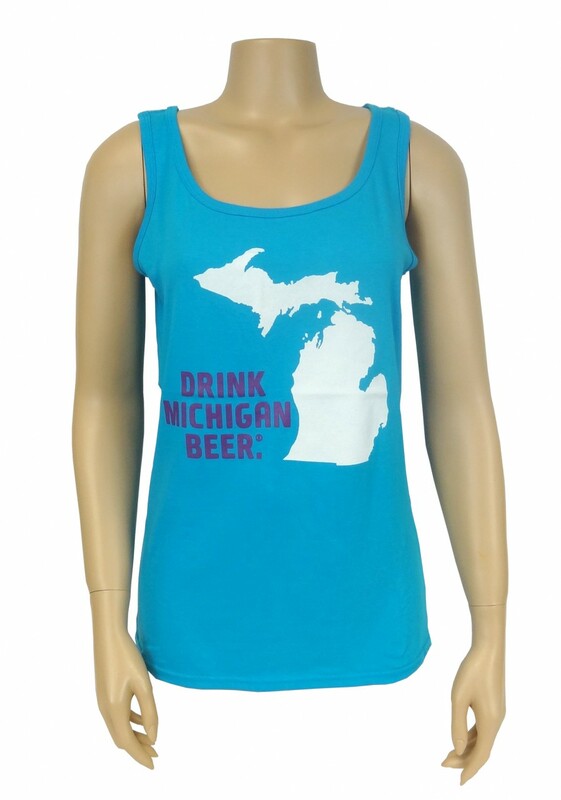 Click the button below to add the TANK TOP, WOMEN'S DRINK MICHIGAN BEER to your wish list. Lightweight 4.5 oz. 100% pre-shrunk ringspun cotton tank. Semi-fitted, contoured silhouette, double-needle stitched bottom hem, bound rib trim neck and armholes with tear away label. Caribbean Blue with Drink Michigan Beer on front and Michigan The Great Beer State on upper back.